Let your customers choose the way they want to pay. With just a tap of their card or their phone, EMV chip or magnetic swipe. You’ll never have to turn away a customer. 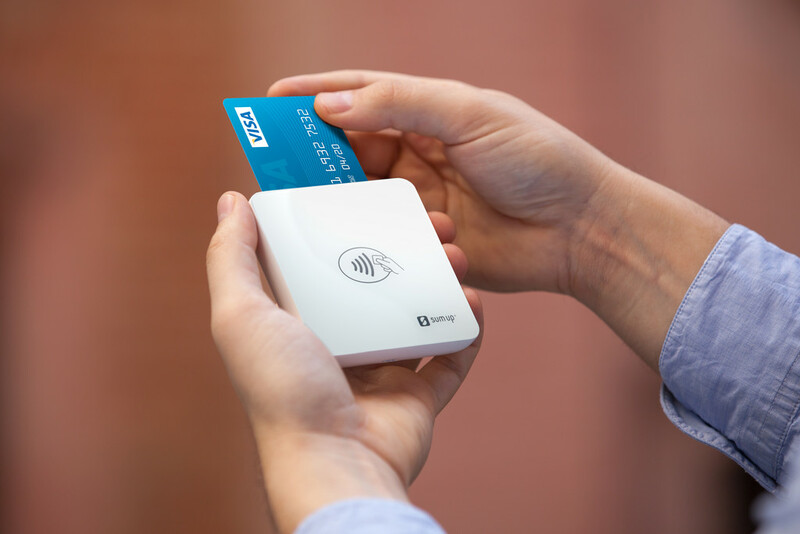 Accepts chip, magnetic stripe, and contactless (NFC) debit and credit cards, compatible with all popular smartphones and tablets, connects via Bluetooth, one-time purchase, no monthly fees. In order to use the card reader, you must have a SumUp account. This can be created after purchasing the reader.